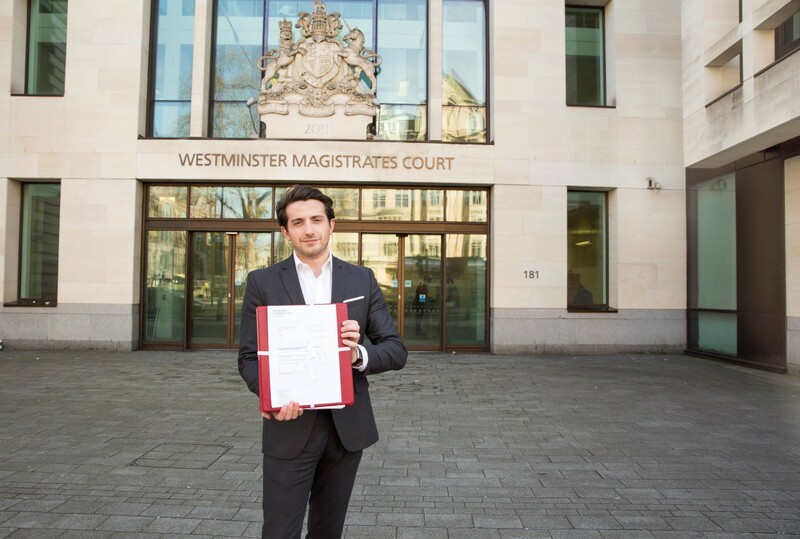 Today, at Westminster Magistrates Court, I Marcus J Ball, on behalf of the Prosecution, represented by Bankside Commercial Solicitors, and barristers Lewis Power QC, Colin Witcher and Anthony Eskander, have filed an application for a summons against the proposed defendant, Mr Boris Johnson MP. The prosecution allege that Mr Johnson has committed 3 counts of misconduct in public office. It is alleged that Mr Johnson acting as a Member of Parliament and as the Mayor of London made statements concerning the cost of European Union Membership, which were false, misleading and which abused public trust. A District Judge will now consider the application for a summons. If the summons is issued, it will then be served upon Mr Johnson who will be required to appear before the court and indicate a plea of guilty or not guilty to the 3 charges. I should also stress, it is not the intention of this prosecution to stop or delay Brexit on 29th March 2019. The prosecution believes that the evidence demonstrates Mr Johnson MP has lied to the British public in his positions as both M.P and Mayor of London and in so doing has abused the public’s trust in these offices. If there are any questions for the prosecution, then please direct them to Brexit Justice Ltd or Bankside Commercial who will be happy to try to assist.